From Payment Card Industry (PCI) Compliance to ensuring compliance with health information regulations and the Social Security Privacy Act, governments and businesses face a myriad of legal and policy compliance requirements. These requirements must be addressed with carefully-built solutions in virtualized environments. 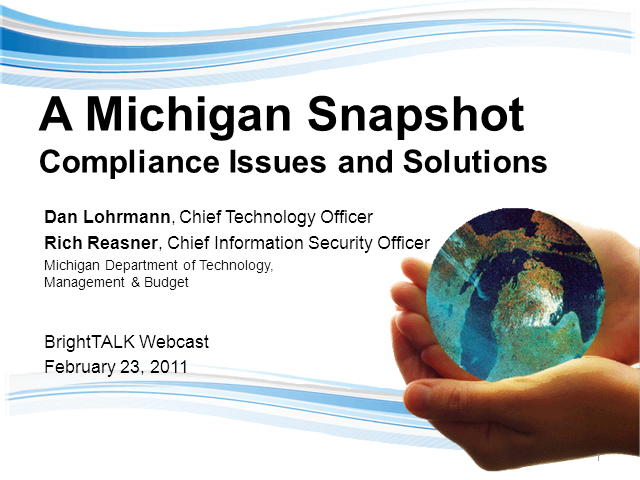 This session will offer a case study of how Michigan was able to achieve PCI compliance as well as comply with many other legal mandates in our centralized technology infrastructure. We moved from 40 data-centers to 3 while still addressing audit issues and overcoming numerous enterprise architecture challenges. Dan Lohrmann will share some of the challenges faced as well as the solutions implemented which can help others achieve compliance in virtualized server environments.